STEM Lab is a very unique solution develop after a long research in classrooms as well as outside from the classroom. When we define our classroom education system & how we teach science it seems we are teaching science like literature we are using Chalk & Board, Digital content worksheets & so many things to teach science but still students feel they are unprepared for Science the reason is very simple we are not doing practical’s we are not directly involve students to do practical’s & to build projects and subject like a science is based on process & the best way to learn process we need to engage our self in practical’s. We are offering a very unique solution which is purely based on Hands on Learning. Our methodology, developed and refined over interactions with over thousands children’s & is based on the simple premise that real learning occur when students directly involve themselves in the learning process & it happens when we provide a real materials give freedom to build understand as per their capabilities interact them in their group to formulate what if scenarios, discussing about the process & methods & most importantly connect with the real life scenarios. 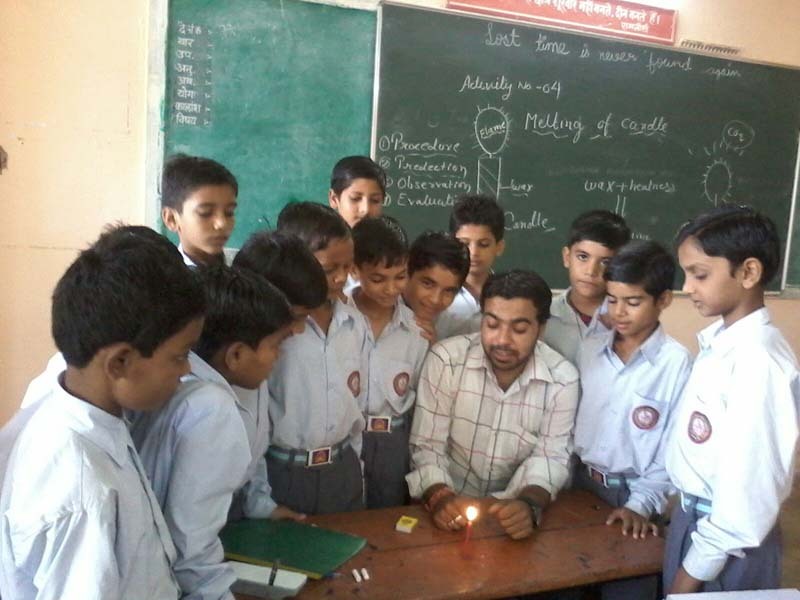 The students get to know the properties of each material such as pipes, pvc material, Nut & Bolts, pencil, batteries etc. that they will use to build the project. This helps relate to the world around them. The students build the model using the material with the guidance of the instructor and a Activity Plan. This helps develop the skill of ‘hand-mind’ coordination. The student build the model to develop a practical understanding of the concept. This helps the student develops analytical thinking abilities. The student explores different ‘what if’ scenarios in the models. This helps develop creative, imaginative abilities. The student understands how the concept is used in real life. This helps develop skills for practical application. The student revises the concept using the ‘Activity Plan Manual’. This helps remember the concept for exams and thereafter. 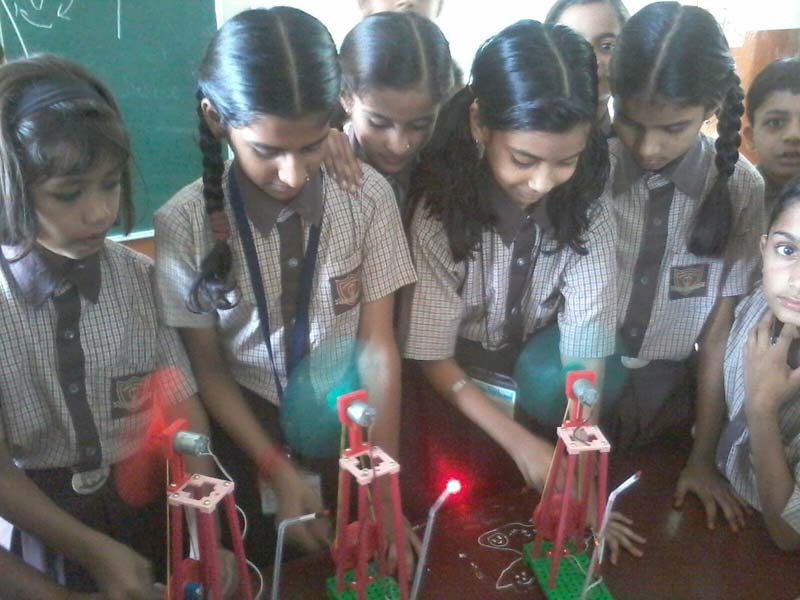 STEM Lab Features & Details…..
A well researched STEM activities (Hands on Activity Kits) for classes from Grade 3rd to 10th each. “K-12 STEM” appoint Relationship Manager for continuous service to assure the smooth running of the program in the school. STEM-Lab Curriculum is aligned with the curriculum standards and benchmarks which are proof of the fact that we are extremely committed to give students the best of behavioral, cognitive, constructive and empathy-based pedagogies of learning and growing: with this we have committed ourselves to the Education Pedagogy of Constructivism that is built on the foundation of a learning process which allows a student to experience an environment first-hand, thereby, giving the student reliable, trust-worthy knowledge. As a part of this learning theory, the student is required to act upon the environment to both acquire and test new knowledge.